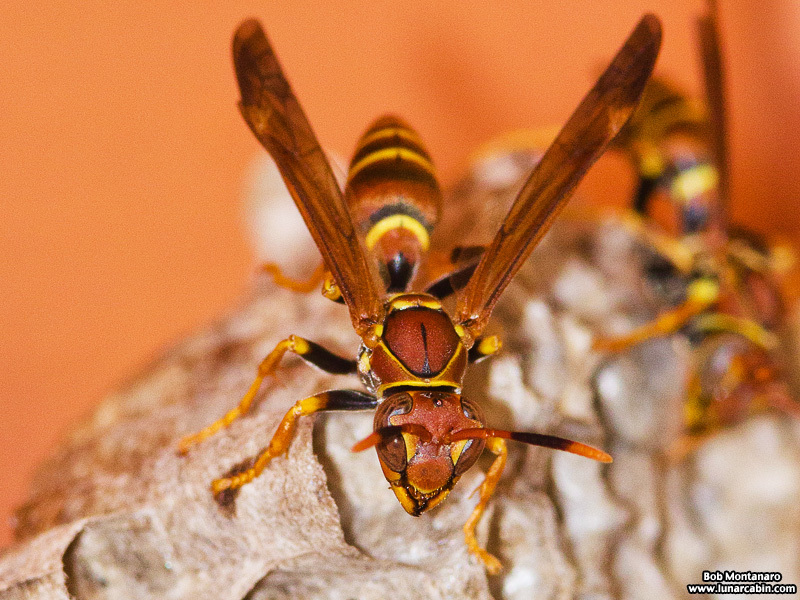 The Florida heat can make anyone lethargic and so it is at the big Paper Wasp nest at Audubon House at the Oslo Riverfront Conservation Area (ORCA). 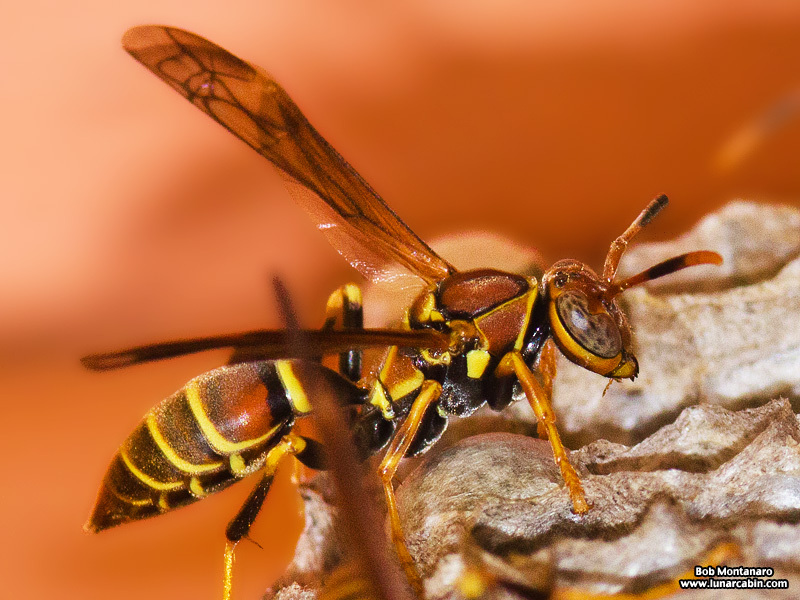 The wasps seem to spend the hottest part of the day, even though they are in the shade, which itself is pretty warm cut off mostly from the breeze given the nest’s location in a sort of inverted box attached to the wall, moving as little as possible. I can completely relate. 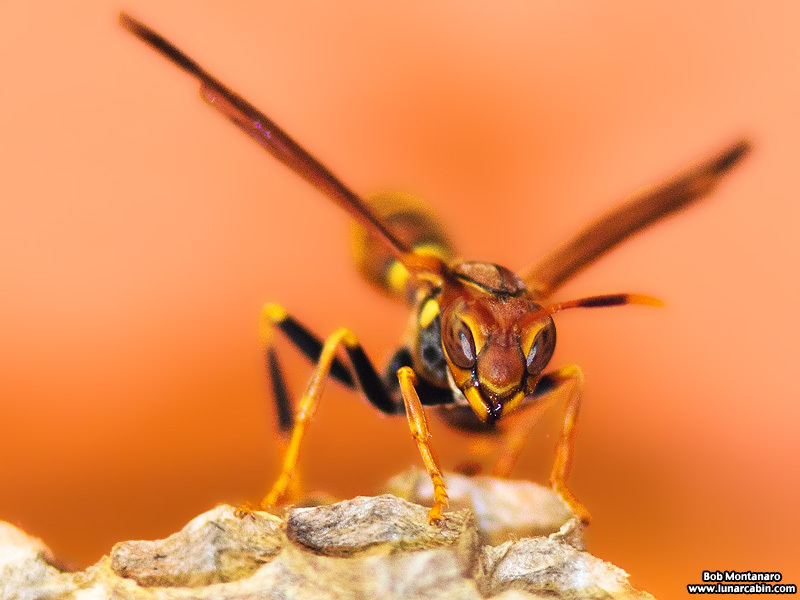 Besides the heat, the Wasps have to put up with that creamy orange color painted on the inside of their box.